The mayor announced her leave shortly after Maryland's governor called on the state prosecutor to investigate allegations against her. BALTIMORE — Baltimore's mayor is taking an indefinite leave of absence as a political scandal about "self-dealing" book sales intensifies. 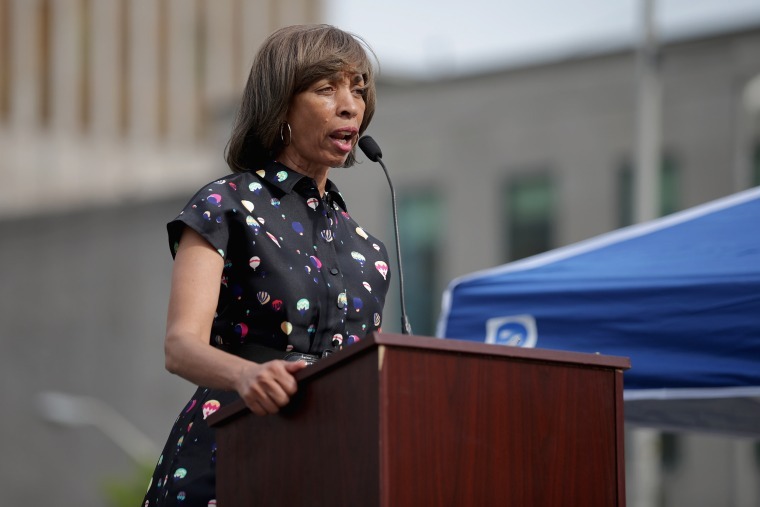 In a Monday statement, Mayor Catherine Pugh's office says she has been "advised by her physicians that she needs to take time to recover and focus on her health." It says she feels as though she is unable to fulfill her obligations as mayor due to deteriorating health. Her announcement comes shortly after Maryland's governor called on the state prosecutor to investigate allegations against Pugh, and Maryland's comptroller called on her to resign. The Baltimore City Council president will take over Pugh's day-to-day responsibilities. In a letter to the state prosecutor released Monday, Gov. Larry Hogan says allegations facing Baltimore Mayor Catherine Pugh are "deeply disturbing." Hogan says he's particularly concerned about a $500,000 sale to a university-based health care system "because it has significant continuing ties with the State and receives very substantial public funding." The Republican governor's request came shortly after Maryland's comptroller called on Pugh to resign. Also Monday, Kaiser Permanente disclosed that it paid $114,000, between 2015 and 2018, for roughly 20,000 copies of Pugh's self-published "Healthy Holly" illustrated paperbacks for children. Maryland's chief accountant called for the mayor to step down, describing the latest revelations about lucrative deals to sell her self-published children's books as "brazen, cartoonish corruption." In a Monday tweet, Maryland Comptroller Peter Franchot wrote: "The Mayor has to resign — now." His comments came on the same day that Kaiser Permanente disclosed that it paid Mayor Catherine Pugh's limited liability company about $114,000 for roughly 20,000 copies of her "Healthy Holly" children's books. Those purchases came during a period when the health provider sought a city contract. Pugh became mayor in 2016. The next year, Baltimore's spending board, which is controlled by the mayor, awarded a $48 million contract to the Kaiser Foundation Health Plan of the Mid-Atlantic. Calls to Pugh's attorney were not immediately returned Monday.